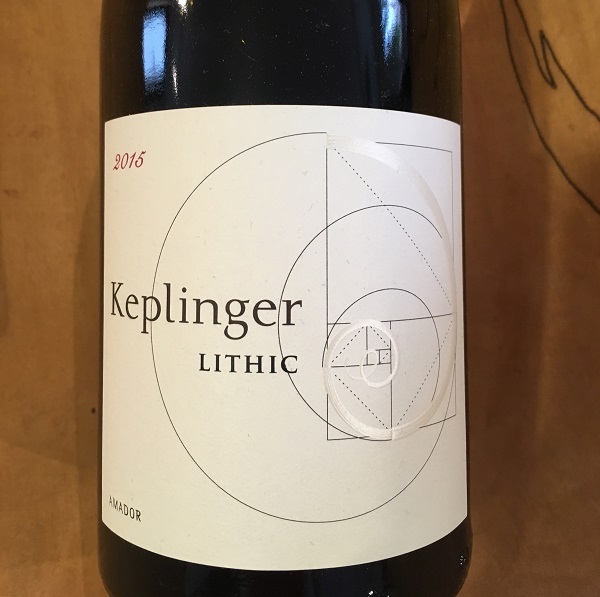 The 2015 Lithic is a blend of 40% Mourvedre, 34% Grenache, and 26% Syrah - all coming from Ann Kraemer's incredible Shake Ridge Vineyard, situated at 1700' in the Sierra Foothills of Amador County. Farmed to perfection, the extraordinary Sierra uplift soils, loaded with quartz, basalt, soapstone, and shale always combine to create wines of great purity, richness, and minerality. The Mourvedre, Grenache, and Syrah blocks are all on rock-filled slopes with excellent exposure and drainage. The 2015 Lithic has a tightly wound gorgeous nose of lavender, blackberry, blueberry, black peppercorn, wild thyme, cacao, carnation, green olive, newbuck leather, and pencil shavings. There is just as much intensity on the palate, with a silky entry, broad, mineral-driven tannins, and an impressive finish. 300 cases were produced..